There are events and happenings at the Nordic House every day. Visit their website for more information. Iceland maintains strong ties to other Nordic countries, and the center of this cooperation is the Nordic House. With its marine blue roof that takes its shape from mountains in the background, the Nordic House was designed by acclaimed Finnish architect Alvar Aalto in 1968. 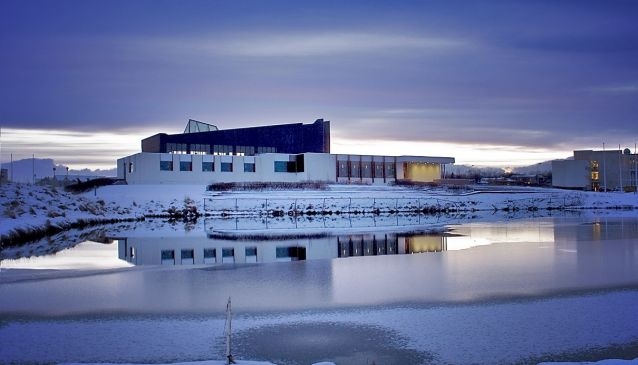 The Nordic House with its surroundings is the venue to be if you want to enjoy the best of Icelandic cultural events such as Reykjavik International Film and Literary Festivals as well as experiencing rich culture of the Nordic countries. The Nordic House also features Dill - an acclaimed restaurant serving New Nordic Cuisine. Dill was nominated as best restaurant, on behalf of Iceland for the Nordic Prize, both in 2009, 2010 and 2011. Have a memoriable time with art, music, literature, amazing performances and fantastic food. The Nordic House nourishes body and soul, a forum for creativity, a house for you!